Ukrainian Prime Minister Volodymyr Groysman predicts that the new Beskydsky tunnel will be launched by the end of May. 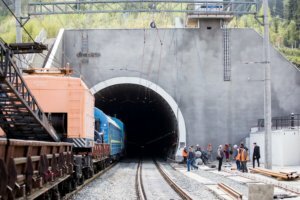 “The new two-track railway Beskydsky tunnel, which is the largest infrastructure facility of the Ukrainian railways built in the years of independence, will be finally launched by late May, as the government resolution requires,” the press service of the Cabinet of Ministers of Ukraine reported on Tuesday, citing Groysman. The prime minister paid attention to the fact that the tunnel is an important logistic component of routes for exports of Ukrainian products to the European Union (EU). “We need to ensure support of exports, so we do not have problems with supplies of products,” he said. In addition, the prime minister said that issues of providing wagons and increasing the quality of servicing, first of all, in the passenger segment, should be solved quickly. As reported, the Cabinet of Ministers of Ukraine in March 2018 increased the estimated cost of construction of the Beskydsky railroad tunnel by UAH 737 million, to UAH 2.292 million. The Beskydsky tunnel was built in 1886 and has already exhausted its operational resource. Trains pass the tunnel with the minimum speed. In addition, the single-track tunnel limited the capacity of the entire international transport corridor. The new tunnel is to start operating at full on May 25, 2018. Ukrnafta intends to drill two wells in Sumy and Lviv regions, the company’s press service has reported. “The investment committee has approved the drilling of two new wells,” the report said. 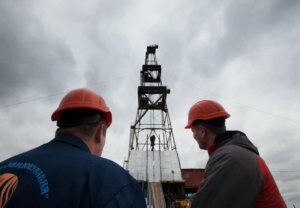 According to the press service, in January-March 2018 the company carried out a number of steps to increase the productivity of existing wells. “Eight wells were transferred to electric centrifugal pumps, as a result the average daily production of oil and condensate on these deposits increased by 70.4%, to 42.6 tonnes. In general, as of late March electric centrifugal pumps operated on more than 300 wells of the company,” the press service noted. Since the beginning of the year, Ukrnafta has completed overhauls on 28 wells and has carried out 14 production intensifications. “Among the main works carried out at the facilities is the transition to other productive horizons, the elimination of accidents with oil well tubing and downhole equipment, the elimination of leaks in the production column, the addition of productive horizons and the additional perforation of the operating ones. Thanks to the overhauls, as of March 31 the company had additionally extracted 1,082 tonnes of oil and condensate and 1.935 million cubic meters of gas. Intensification operations gave an additional 1,920 tonnes of oil with condensate and 181,000 cubic meters of gas,” the press service said. 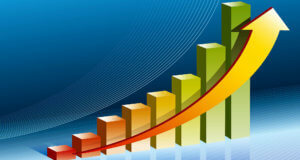 Ukraine’s GDP in January-March 2018 grew by 3.1% year-over-year, the State Statistics Service of Ukraine reported. The country’s economy grew by 0.9% compared with the previous quarter. As reported, the World Bank left unchanged the forecast for the growth of Ukraine’s GPD in 2018-2019 at the level of 3.5% and 4% respectively. At the same time, the World Bank warned that the forecast for 2018 envisages the implementation of deferred reforms by the country. If they are not implemented, economic growth may slow down to almost 2%. The fruit and berry harvest in 2018 could exceed the last year figure by 10-30%, Chairman of the Ukrsadprom association Dmytro Kroshka has said. “With favorable weather conditions, gross harvest of pomaceous, drupaceous fruit, berries and nuts in industrial farms could reach the average figure of the past years – 400,000-500,000 tonnes. The 2018 harvest could exceed the last year figure by 10-30%,” he said at a press conference at Interfax-Ukraine on Tuesday. Weather is the main risk factor. Kroshka said that this year blooming this year is quick due to high temperatures and some fruit and berries are ripening quickly. In addition, simultaneous expansion of depredators, the high likelihood of hail and not enough moisture in soil (twice less) would also affect the volume of the harvest. Director of the Berry Nursery Brusviana Liliana Dmytriyeva said that the Ukrainian market is specific. In particular, the share of berries planted at farms is from one third to one fifth, while the rest is planted in households. “At present, the leader in planted areas in Ukraine is black currant – around 50% of all areas of agricultural companies. Strawberry occupies 20-24% of the market and raspberry – 13-14%. Areas with blackberry occupy 13% of total areas, according to the State Statistics Service, while other sources said that it is 24%,” Dmytriyeva said.She also said that areas with sea-buckthorn, honeysuckle and alpine strawberry are swelling. Leaders in production of berries of all types are Dnipropetrovsk and Donetsk regions, in production by agricultural companies – Vinnytsia, Volyn, Zhytomyr and Khmelnytsky regions. She said that the largest number of companies planting berries was created in these regions. The new type of business is being developed in Ukraine: planting of berries “in tunnels.” “This allows preventing the influence of some cold factors and having early harvest. Berries “from tunnels” are more expensive than those planted in fields, but it allows placing Ukrainian products to the shelves of retail stores for a longer period of time,” the director of the Berry Nursery Brusviana said. The experts do not expect a significant reduction in prices in the market and among the main factors that may affect them, are: a significant increase in the area under berries, a rise in the price of crop protection products and fertilizers by almost 30% compared to 2017, as well as exports. “The presence of competition, on one hand, should reduce the price, but on the other hand: there are natural negative factors that will affect the harvest. Most enterprises were not oriented to “fresh” or to domestic markets, so a significant increase in areas would not entail increased competition in the domestic market,”, Dmytriyeva said. As for the supply of Ukrainian products abroad, Europe remains the most popular market. “The most expensive and popular market is Europe, in particular, Great Britain, Germany, but to get to this market you need to incur certain costs for both fresh berries and frozen ones. Many enterprises plan to do this, but not everyone is ready,” she said. In addition, Ukraine is also interested in the market of the Middle East. The market of neighboring countries, in particular, Belarus, is traditional. In turn, the chairman of Ukrsadprom said that this marketing year, Ukraine exported apples to one of the new markets – the UAE. The shipbuilding and ship repair industries of Ukraine have good prospects for development due to cheaper metal, labor and electricity. “Of course, in order to develop shipbuilding, we need investments. It is difficult to assess the volume of such investments now. In any case, it is not about ten million dollars. At the same time, we see interest in shipbuilding and developing the industry in our country. 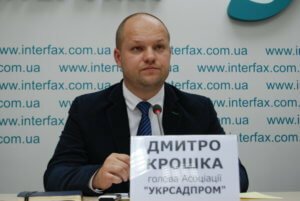 The fact is that despite military actions in the east of the country, we have the cheapest metal in the region if to compare with Turkey or Romania, which are the closest competitors of Ukrainian shipbuilders and ship repairmen,” chairman of the Verkhovna Rada subcommittee for maritime and river transport Oleksandr Urbansky said in an exclusive interview with Interfax-Ukraine. At the same time, he noted that the cheapness of workforce has the opposite effect: young professionals leave the country. He added that the factories now need resources that would allow them to raise wages of such employees by $300-400, which would make labor migration unprofitable. At the same time, enterprises are ready to invest in the training and development of even very young specialists. But business also expects actions from the state. First of all, the matter concerns relevant amendments in the legislation. 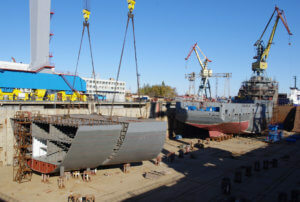 The expert stressed that the adoption of the draft law on inland water transport will become a catalyst for the development of shipbuilding in Ukraine. 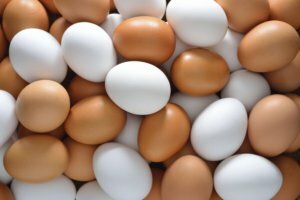 Ovostar Union, one of the leading producers of eggs and egg goods in Ukraine, received $7.3 million of net profit in January-March 2018, which is 1.7 times more than in the same period in 2017. According to the company’s report on the Warsaw Stock Exchange’s website, Ovostar’s revenue increased 1.7-fold, to $33.9 million, due to an increase in sales and prices. Export sales for the reporting period doubled and reached $14.4 million compared to the same period in 2017, while the share of exports in total revenue was 43%. The gross profit of the company for January-March 2017 increased by 1.9 times, to $11.2 million, while gross margin was 33%. Operating profit doubled to $8.8 million, EBITDA rose by 1.9 times, to $9.5 million, and EBITDA margin stood at 28%. Net operating cash flow for the period amounted to $14.9 million. “Adhering to the strategy of export markets development, in the first quarter of 2018 the group continued raising its export share, paying special attention to the EU market, which led to a significant increase in revenues from foreign customers,” company director general Borys Belikov said.